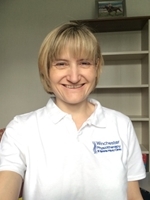 Gill qualified in 1988 and has worked in both NHS and private sports injury clinics until setting up the Winchester Physiotherapy & Sports Injury Clinic in 1996. Gill heads the team of therapists and has developed the practice into the largest Private Physiotherapy & Sports Injury Clinic in Winchester, taking referrals from all the local GPs and Orthopaedic consultants. Gill's main special interest areas are sports injuries and spinal conditions. 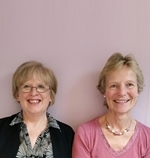 Mary Liz and Mary Jermany manage our small team of receptionists and are responsible for the day to day running of the clinic. If they can be of any assistance please do not hesitate to ask. 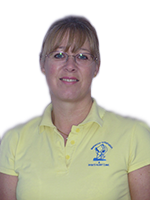 Fleur joined the clinic in 2001 and has several years experience of treating musculo-skeletal conditions and sporting injuries. Fleur qualified from Prince of Wales School of Physiotherapy (London) in 1982. 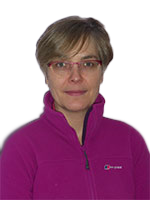 She gained an MSc IN Rehabilitation Studies in 1990 and has completed her PhD from the University of Southampton in 2011 in the field of Patello-femoral joint function. She combines her work in the clinic with her full time post in Workforce Development for the NHS. 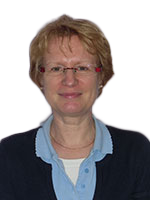 Fiona qualified from Coventry University in 1990 and then undertook a further Masters Degree in manual therapy in 2004. Fiona joined the clinic in 2008 having worked extensively in both the NHS and in private settings since qualifying. Her special interests are musculoskeletal injuries, chronic pain management, aromatherapy and Massage and Soft Tissue Release. 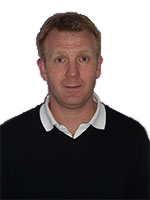 Paul is a specialist sports Physiotherapist qualified to Masters Level and holds private clinics in Winchester & Stubbington. He graduated as a Physiotherapist from University of Southampton with a first class honours degree after spending 12 years with the Royal Navy as a Physical Training Instructor. He has previously worked within the National Health Service and the MoD as a senior Physiotherapist providing specialist rehabilitation to a wide variety of armed forces personnel. He has also worked with Portsmouth FC and extensively in private practice. Paul has completed a Masters Degree in Sports Physiotherapy at the University of Bath and has a special interest in treatment and management of sport and work related injuries. Sarah graduated from the University of the West of England, Bristol in 1999. 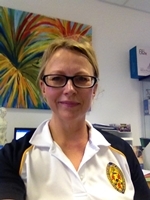 She has worked in Basingstoke and Winchester hospitals for the NHS & has extensive experience of working with all types of musculoskeletal conditions. She has completed several modules towards studying for a Masters Degree in advanced Neuro-musculoskeletal Physiotherapy at the University of Hertfordshire. Her special interests are spinal conditions and shoulder rehabilitation. Karen graduated from the University of Brighton in 2002. Karen worked initially for Hove, Brighton and Hayward’s Heath hospitals for the NHS & gained extensive experience of working with all types of musculoskeletal conditions. But more recently worked privately for a Charity Hospital leading services in Hydrotherapy and Out Patients and in a Clinic setting. She has also enjoyed working pitch side at rugby matches for both private schools and adult teams. She retains a passion for her profession and feels it is a privilege to help people get better and reach their potential. Rachael joined the team at Winchester Physiotherapy & Sports Injury Clinic in September 2017. She initially completed her BTEC in Beauty Therapy Sciences in 2009, paying special attention to the massage units. 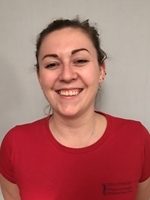 She recently qualified in Level 4 Sports Massage and is studying her degree in Sports Injury and Treatment at the University of Chichester. Rachael has always been fascinated by the inner workings of the body, especially how the muscles work together to maximise athletic performance. She is a keen gym-goer and enjoys watching football, rugby and cricket. 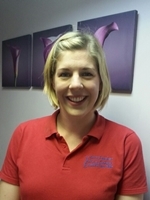 Lisa joined the team at the Winchester Physiotherapy & Sports Injury Clinic in July 2013. Lisa qualified in 2007 from the University of Chichester with Sports Therapy Degree and has been working in the sports industry since this time. She furthered her career by taking her Level 3 personal trainer qualification in 2011 and her Level 4 Sports Massage qualification. I would always recommend the clinic to anyone in need of assistance knowing they will be treated in the best possible way. Very friendly and professional service which has been a great help to me over the years. Lovely friendly staff, very helpful and full of knowledge. Click here to leave us a message and we'll get back to you within 2 working days.